Falls are one of the leading causes for serious injuries and health problems for older adults. The fall prevention and balance program helps you reduce the risk for a fall. 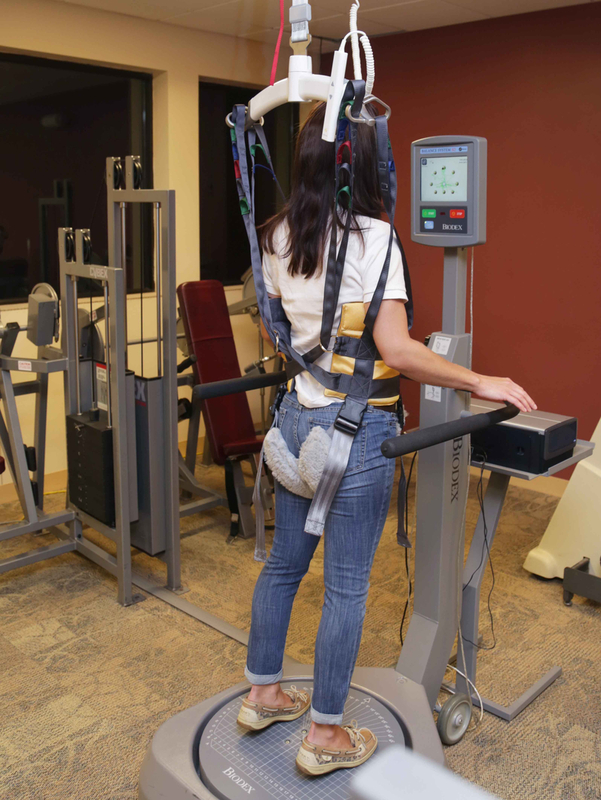 The Guldmann safety harness is a high tech system of over head support to allow patients to gain confidence while safely performing weight bearing exercises. 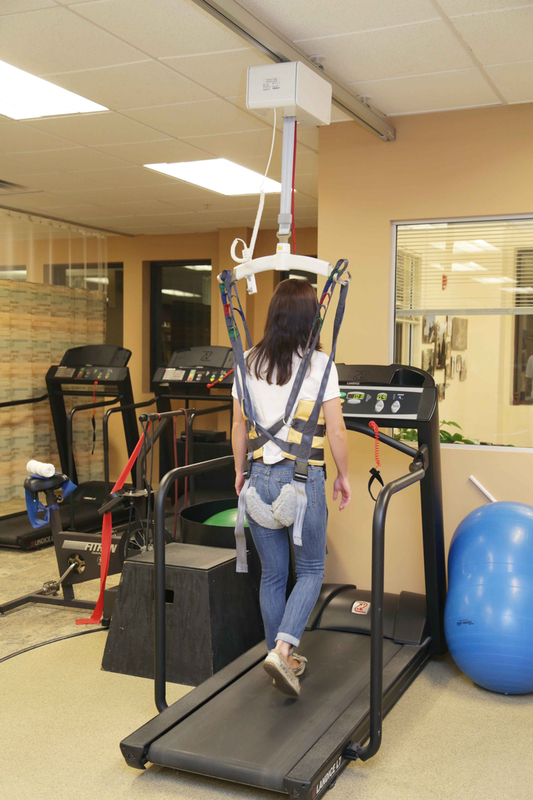 Patients cannot fall while wearing the harness. Now patients who are at risk can receive treatment that can prevent falls as well as regain safe walking after a fall. Ask your physician for a referral to participate in our fall prevention and balance program based on your increased risk of falling which could be due to age, history, medication changes, degenerative joint diseases, post arthroplasty or osteoporosis. Most insurance plans, including Medicare, cover our screening and treatment for fall prevention. Come to our office for screening to determine if you are at risk of falling. 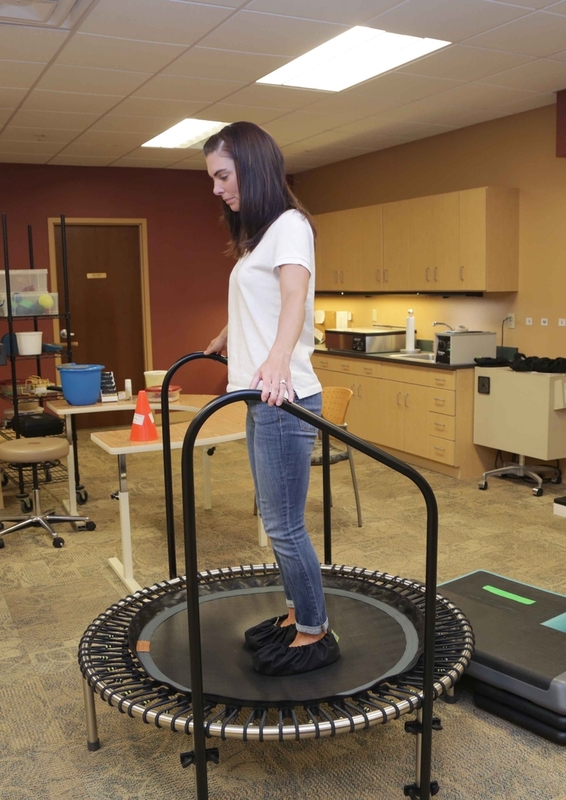 A series of tests including the Biodex Computerized Balance Assessment will identify the factors causing you to be at risk. The factors may be physical such as a lack of balance, strength and flexibility or cardio respiratory disease. Or the factors could be environmental such as hazards around the home or work place. Return to our office to learn individualized fall prevention exercises and techniques to regain strength, flexibility, balance, endurance and confidence that will reduce your risk for a fall. Environmental factors are modified by helping you identify and eliminate hazards. Enjoy the benefits of our Fall Prevention and Balance Program by experiencing increased mobility and confidence both essential to maintaining an independent lifestyle.